What is an RFID tag made up of? The basic components of an RFID tag can be divided into two parts. First, an integrated circuit for the purpose of data storing and processing, radio wave modulating and demodulating, and capturing power from reader’s radio waves. Second, an antenna for enhancing signal transmission. 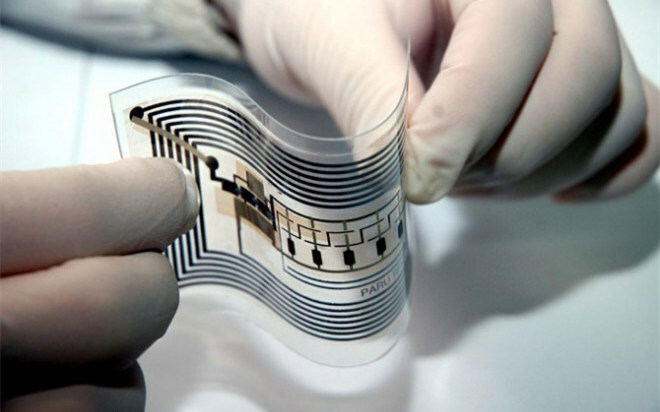 What is an RFID tag made up of? The tag information is stored in a non-volatile memory. The RFID tag includes either fixed or programmable logic for processing the transmission and sensor data, respectively. RFID readers transmits an encoded radio signal to interrogate the tag. The RFID tag receives the message and then responds with its identification and other information. This may be only a unique tag serial number, or may be product-related information such as a stock number, lot or batch number, production date, or other specific information. Since tags have individual serial numbers, the RFID system design can discriminate among several tags that might be within the range of the RFID reader and read them simultaneously.